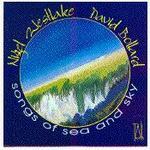 Songs of sea & sky : Australian music for clarinet and piano / Nigel Westlake, David Bollard. Nigel Westlake and David Bollard play music for clarinet by Australian composers Peter Sculthorpe, Ross Edwards, Mark Isaacs, Miriam Hyde, Margaret Sutherland and Don Banks. Both performers were members of the Australia Ensemble when this recording was made (Westlake has since departed to concentrate on composition). It was the first CD of Australian clarinet ever made, and contains two gems from the repertoire in the works by Don Banks and Margaret Sutherland. 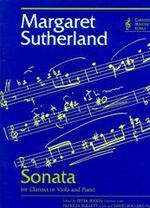 Includes programme notes and biographies of composers and performers. Score & Part: Cantilena : for bass clarinet and piano / Mark Isaacs.